Frugal Hound here. I’m pleased to report that my certified turkey freak appetites were met with several choice and juicy tidbits of turkey bird on Thanksgiving. At present, I’m plotting against the ornaments on the lowest Christmas tree branches as they reach out and grasp my tail every time I walk past. I’ve succeeded in knocking them off several times, but they reappear…. methinks there’s a plot against me afoot. Further stoking my fire of a perceived anti-Frugal Hound conspiracy here at Frugalwoods is the appearance of a ball in my food dish. For the record, this is neither appreciated nor warranted. I’d prefer to gulp my hound kibble without meddlesome human intervention. 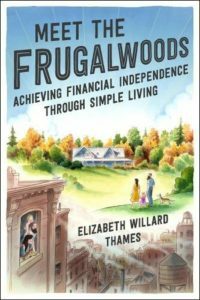 In retribution, I’ve commandeered Frugalwoods for a stunning installment of my erudite interview series, Frugal Hound Sniffs. 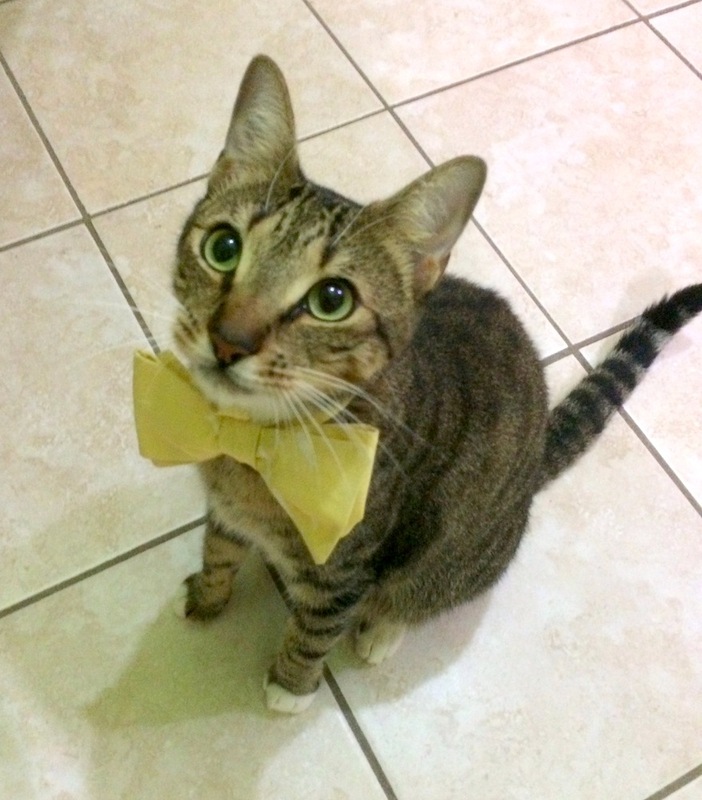 Today I’m delighted to introduce you to the tasty-looking dapper cat, Benny, who hails from Budget and the Bees. Please join me in exuberantly sniffing Benny! My name is Benny, and I’m from Grenada, mon. I also go by Boo Bear, Little Sir, Kitten, Bencenzo, and more, but now I’m starting to sound ridiculous. I promise I’m cooler than my parents. Anyway, I became a U.S. citizen in June. I’m a domestic short hair (whatever that means), but all you really need to know is I’m a cat. My mom is Natalie from Budget and the Bees, and my dad is Jade. My mom shops around for deals and takes advantage of specials. I know she buys my food and litter on sale in stores and online. They clip my nails at home and keep my routine shots up to date. I go crazy for yogurt! Have you had it? I don’t care what the flavor is. I want it all! Yogurt yogurt yogurt! PUFF! I have a few colored cotton balls that I love to stalk and assert my posession over. My parents call them puffs. Seabiscuit is my best good buddy, and he’s been there for me through everything. Roofus is pretty cool, too. Socked feet. And my tree, can’t forget my tree. Every jungle cat needs a tree from which he can look down upon his kingdom. Destroyed? Challenge accepted! My mom doesn’t know it yet, but I’m slowly working on her new rug. Nothing feels better between my toes than new wool. Mom and dad made fuh-heet-uhs one night and left some on the stove for me. The scent beckoned me into the kitchen where I silently feasted like a king on onions and garlic. When they found out, they made me throw up (embarrassing) and go to the dreaded vet. The vet shaved my leg and made me look so stupid. I went from the most handsome cat on the block to a bald alley cat in no time. Talk about humiliating! Get a bath? Please. I bathe myself numerous times a day. I’m cleaner than my parents. My parent’s have a lot of debt from my dad’s school. They want to get out of debt as soon as they can, but I remind them to be happy in the now and to not live for the distant future when they’re debt free. Sure, it would be cheaper if I didn’t live with them, but not everything is worth saving money over. My parents love me, and why wouldn’t they? Everybody loves me. I can fit anywhere, and where I fits, I sits. I’m like liquid awesome. 10) What is your favorite trick your humans perform? They do this neat thing where they turn on the shower faucet when I meow a lot and crank up the charm. Why would you drink stale dish water when you can get it fresh from the tap? Yogurt! Loves it. I’m more partial to cottage cheese myself, but yogurt would do in a pinch. I’m rather envious that you’re never bathed. I too lick myself often, since I behave like a gigantic cat, but my parents still bathe me. The injustice. Mrs. Frugalwoods here: Many thanks to Natalie from Budget and the Bees for helping Benny transcribe his superb interview. 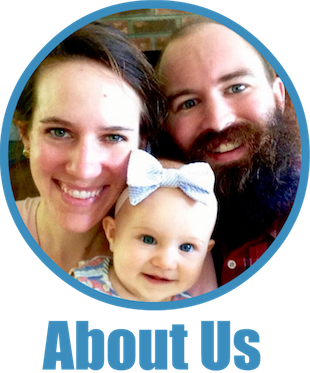 Natalie’s blog is a wonderful resource of “buzz-worthy life tips for busy bees” and I greatly enjoy it! 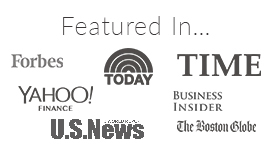 If you’re not already a reader, I encourage you to check it out! Frugal Hound, another excellent job of reporting! Love your regular feature here. Keep it coming! She says, THANK YOU! But don’t let it go to her head… I don’t want her to start charging me for her content ;)! Kitty PoP needs to know – what was wrong with the fajitas that made you sick? Onions and garlic and no good for dogs and cats. We were advised to get it out of his system and see how much he’d consumed. Once he started vomiting he didn’t stop (sorry, that’s gross). Even though we thought it must be all out, we needed to take him to the vet to stop the vomiting. They ran tests and rehydrated him, which was the reason for the shaved leg. 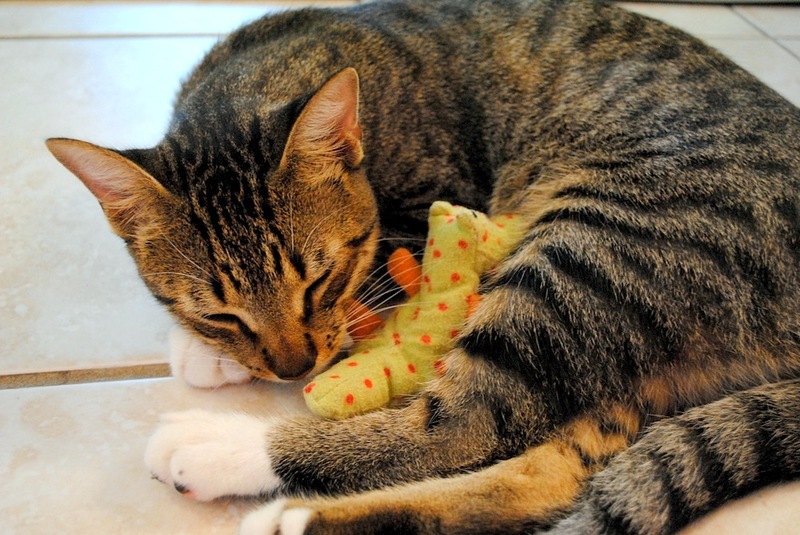 He had a special diet and medication for several days, but he made a full recovery. Yay! So cute! Benny likes yogurt and I love it too. I wanna take you home Benny. This is easily my favorite-ever interview series. Benny, you are GORGEOUS! Great interviewing, Frugal Hound–I love that you don’t hesitate to ask the tough questions. Cute cat! I want a cat! Meow! Benny is definitely a cutie! Oh em gee – I am such a sucker for cute cats and Benny is no exception. That photo with the bow tie – I could just die! So stinking cute!!! What you can’t see is that the bow tie has fish on it! Love it, especially #9. Liquid awesome, haha! Haha, I got a kick out of that too. Reminds me of my cats growing up–they could squeeeeeeeze into anything! I am not a cat person, per se, but you had me a liquid awesome!!! For sure! That’s pretty much the exact opposite of Frugal Hound. I swear she takes up more space than most humans! So gangly! Nice to meet you Benny. Love your bow tie! I thought that little tie was adorable too! 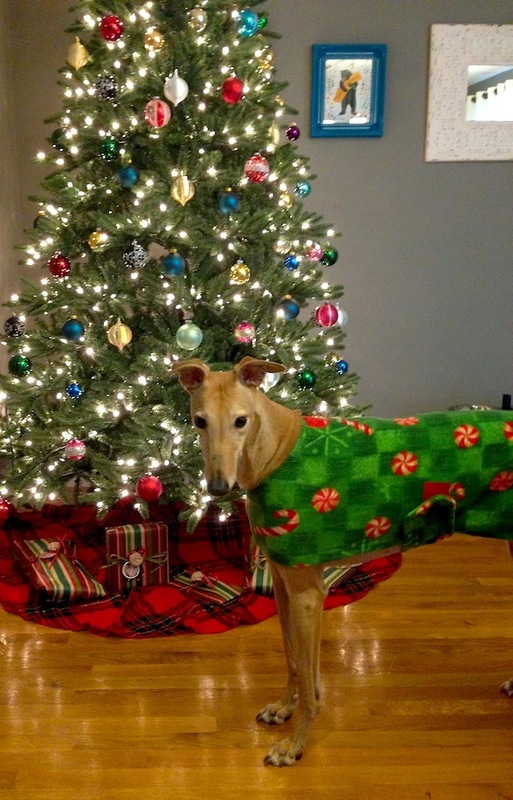 It’d look good on Frugal Hound, I’m just sayin…. Benny has some great lines! 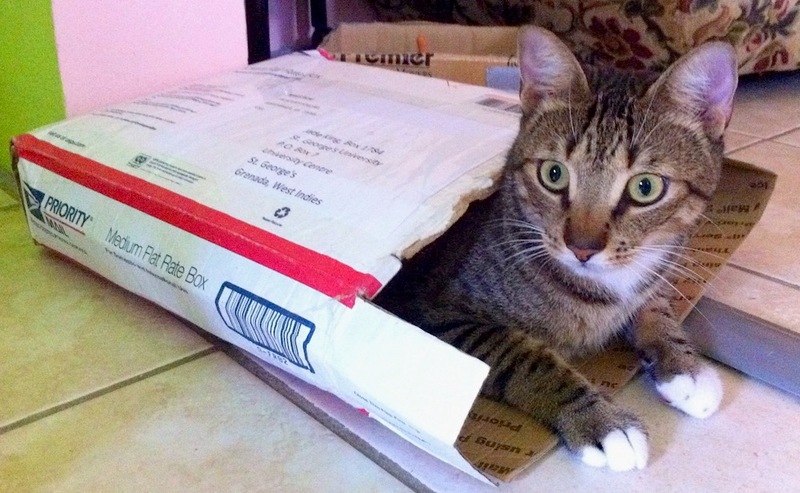 ‘I’m like liquid awesome’ and ‘I’m cleaner than my parents’ … you’re a funny cat, Benny! Benny you are such a dapper cat and so well traveled. Love your white “shoes” and bow tie, Benny! I can’t believe Benny eats yogurt!! I have always been afraid to allow our cat to eat anything other than cat food, and ours likes the rug in my son’s room. I really don’t care because it’s cheap, most people don’t see it and it protects our more expensive furniture. Now that you mention ornaments…our 6-month old kitten has taken down all the ornaments on the lower foot and a half of our tree so our tree is looking pretty funny this year. Those pics of Benny are priceless. Love the white paws. Hah! You now have a cat-proofed tree! Hopefully your kitten doesn’t start climbing the tree–my parents’ cat did that every year. Aww, he’s so cute! Benny looks a lot like one of my cats. I love the pictures of how he gets into everything. 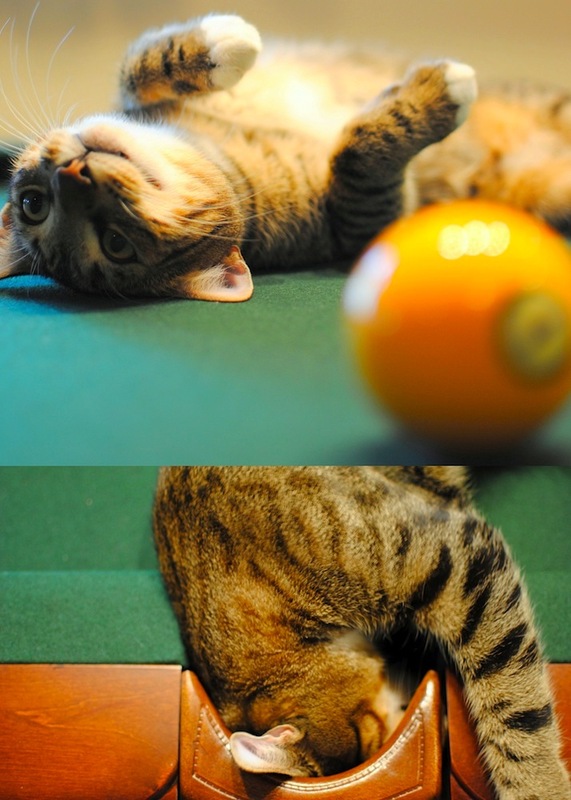 Cats are so amusing! Oh no, the carpet ;)!